A huge number of tourists and tour operators, in defiance of US anti-Iran propaganda, visited Iranian pavilions at an international tourism event recently held in London. 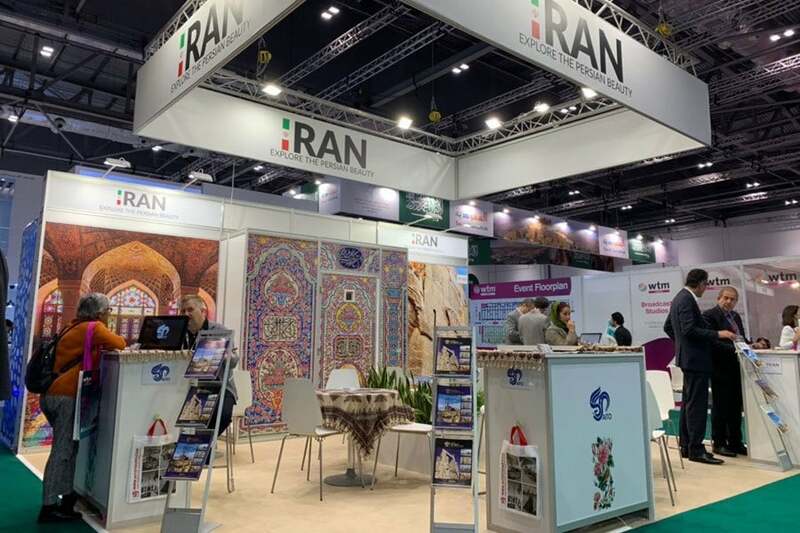 Foreign tourists and tour operators warmly welcomed Iran’s pavilions during the World Travel and Tourism Market Exhibition in London. This shows that the United States’ anti-Iran propaganda and unilateral sanctions have had no bearing on enthusiasts’ interest in Iran’s history and civilization. The 39th International World Travel and Tourism Market Exhibit opened on Monday, bringing together those working in the tourism sector from around the world, including a number of Iranian tourism firms. The event opened at London’s international convention and exhibitions centre known as ExCel. Like previous years, tourists and tourism fans visited the pavilions of some 182 countries from the Middle East, Asia, the United States, Latin America, Europe and Africa. Based on reports, more than 50,000 participants take part in the exhibit every year. Agreements worth £3.5 billion were expected to be signed in the tourism sector. Like in previous years, Iranian tour operators made their presence felt in the exhibit and warmly received tourists and tour operators interested in working in the Iran domain. They put on show symbols of Iranian culture, displaying the grandeur of the Iranian history. They entertained visitors with different types of Iranian sweets and confectionary. In an atmosphere not affected by political developments, many of those interested in Iran visited the country’s pavilions and inquired about how to travel to Iran as well as the tourist attractions in the country. “We operate two to three Iran tours annually and we intend to increase its number. Places like mountains and deserts in Iran are attractive to tourists,” says a tour operator. An author writing about events in the tourism sector, who also visited Iran’s pavilion, said he loved Iran and intended to travel to Iran soon, especially to Isfahan. “Political developments have had no bearing on tourism activities, and this year I not only met our old customers, but met new customers as well,” said Ebrabim Poorfaraj, the chief of Iran tour operators. “It’s been years that the US has maintained sanctions on Iran, and the world is well familiar with these games. From this perspective, many customers even do not ask about US sanctions and have got along with this issue,” he added. Tourism experts believe Iran’s tourism industry will not affected by Trump’s sanctions. 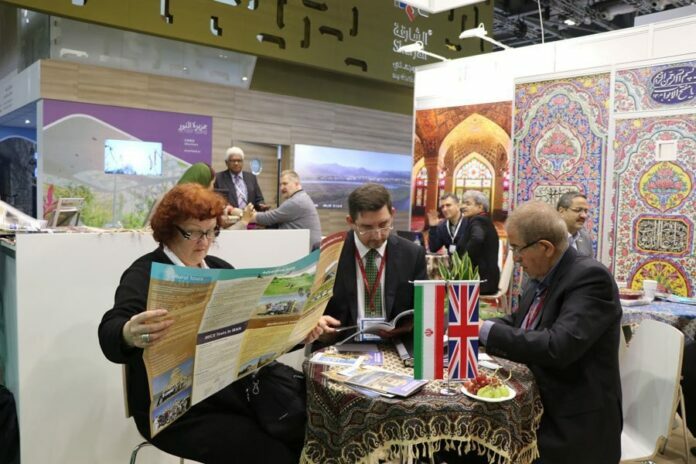 “We attend key international tourism exhibitions each year … Fortunately, there were many enthusiasts interested to visit Iran in previous years, and the experiences that tourists shared on social networks and media all indicated the hospitality of Iranians and the delicious Persian cuisine as well as one of the most empires of the world,” said Hassan Ansari, a tour operator attending the exhibition. “In addition to the attractions associated with Iranian culture, civilization and empire, there are so many internationally registered historical monuments and intellectual property in Iran that the tourists travelling to the country are usually interested to visit Iran for a second and third time as well,” he added. “Basically, the companies that have worked with the Iranian market before are keen to continue their cooperation with Iran and would like to be present in the country’s market. The reason is that the tourism potential in Iran is such that they cannot have it in other countries,” he said.